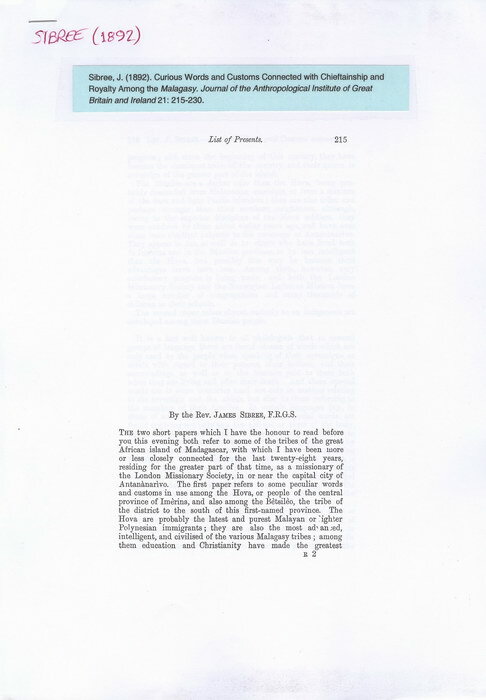 Journal of the Anthropological Institute of Great Britain and Ireland, 21: pp. 215-230. Royal Anthropological Institute of Great Britain and Ireland (1882). 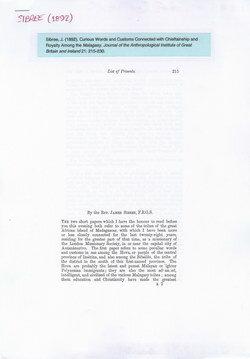 The "Journal of the Anthropological Institute of Great Britain and Ireland" was previously called "The Journal of the Ethnological Society of London (1869-1870)" and "Journal of Anthropology", and is now called "The Journal of the Royal Anthropological Institute of Great Britain and Ireland".